MY CONTROL ARM ON THE REAR PASSENGER SIDE BROKE 5 MONTHS AGO. NOW THE SAME THING ON THE DRIVER SIDE REAR. VERY DANGEROUS SITUATION, AS THE WHEEL COULD TOTALLY FALL OFF. THANKFULLY I WAS ABLE TO DRIVE STRAIGHT AND SLOW TO REPAIR. VERY UPSET WITH THIS AND NOW FEELING THAT NISSAN CARS ARE NOT RELIABLE AT ALL. Just happened!!! Had no idea. Turn corner, heard clunk. Then wavy, sloppy driving. Pulled over safely. (Thank goodness) and looked at left rear tire. It was all catty-wompass (technical term) Control arm broken. Now waiting for tow. Grrrr! Now what? Wife came home from work and said that her car was all over the road and hard to control. I took a look at it and found that the left rear lower control arm had broken, letting the wheel move forward and back. Towed to a local garage to inspect since the car has 61000 miles and is just out of warranty. The mechanic put the car up on the rack to inspect and not only was the left side rusted out, but the right side was about the same it just hadn't broke yet. There was an earlier model Altima on the rack next to mine and the rear control arms were made from aluminum not sheet metal. This repair cost 1800 dollars. I have lost what little confidence I had with this brand. You would think for $26K you could get a little more than 60 thousand miles or six years use out of it. Terrible car. First I had to replace the transmission. Now the lower control arms broke while driving. Very dangerous! Driving about 60mph yesterday when BOTH rear lower control arms snapped. The rear end suddenly kicked out to the driver's side and I thought I was going to roll the car. Somehow managed to straighten it out and get it off to the side of the road. Had it towed to a local shop who said that the breaks in the arms were clean, with good metal in the center, so the parts weren't corroded through. Tech said this was at least the 5th time he'd seen this issue with this model year. Nissan doesn't trust the word of non-Nissan employees so I now have to have it towed to the dealership....which doesn't have service hours on Sunday. Looked up the issue and it's apparently very common, but no recall yet. Thanks, Nissan. Was driving on a city street in Milwaukee, WI when without warning, I lost control of the ability to stear the car in a straight line. Thankfully, I was on a city street and able to pull over. I am not sure what would have happened on the expressway at high speed. Left rear tire was cocked at an angle. Driving down the road going approximately 45mph my car suddenly drifted to the left hard. I thought I had hit a patch of ice but then noticed that the back of my car kept swaying and my steering wheel was cocked to the right a lot. Also my traction control light was on and not turning off. I knew something was wrong so I pulled over and looked st my car. The back left side was very low and the left wheel looked like it was coming off as it was positioned in a weird angle. Luckily I was only 15 minutes from home and was able to call a friend of mine who is a Dr Mechanic (my nickname for him because he knows his sh*t) . He took one look and said it’s my control arm and refused to let me drive the car anywhere else. So my car is now sitting at his house waiting to for the parts to come in and get fixed. This was a very dangerous situation. I’m thankful that I not anyone else was injured when it broke. It could have been very bad as I was on my way to pick up friends in Milwaukee from Racine and I was close to getting on the freeway and heading to Green Bay. While my husband was driving at 60 MPH in the left hand land his 2013 Nissan Altima pulled to the right into the other land. Luckily the other vehicle he was passing had just exited the freeway. My husband managed to steer his Altima to the shoulder to see what happened. This is when he saw that the control arm had broke causing his rear passenger tire to turn outwards and up against the rear of the wheel well. There was a vehicle behind him at the time it happened and this driver had stopped behind my husband to share what he had seen. The driver of the other vehicle said the rear passenger tire kicked out from the bottom and bend backwards. The driver of the other vehicle thought my husband was going to flip our car but my husband was able to get control of it. Fortunately there was no snow or icy conditions because if there had been who know what would have happened. 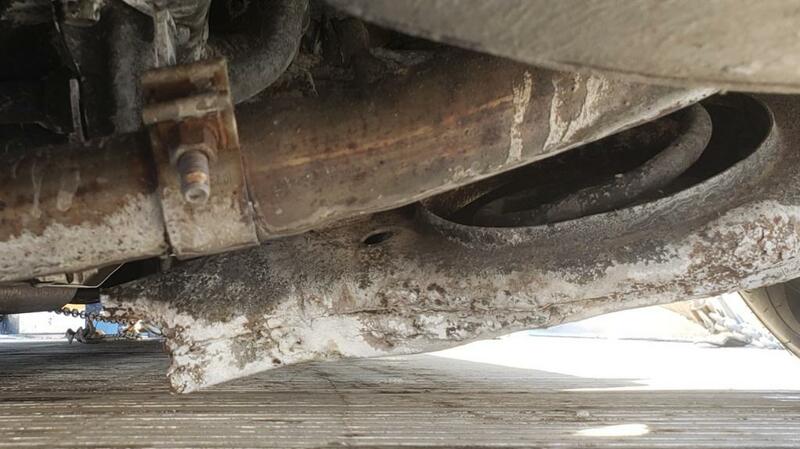 This incident occured within the distance of an exit ramp that had a Service Center and they were able to get his car into the bay and on a lift to diagnose the problem. Now we are concerned the the other side will fail and that my 2013 Nissan Altima will have the same issue. I had to replace lower control arms which cost me about $1100 and then had to deal with replacing AC compressor another $1200. This car should be recalled. I WAS DRIVING AND THE REAR LOWER CONTROL ARM BROKE. I TOOK IT TO THE DEALERSHIP WHERE I BOUGHT IT, THEY STATED IT BROKE DUE TO RUST AND CORROSION ,SO MY WARRANTY WON'T COVER IT. The car is only 5 years old. 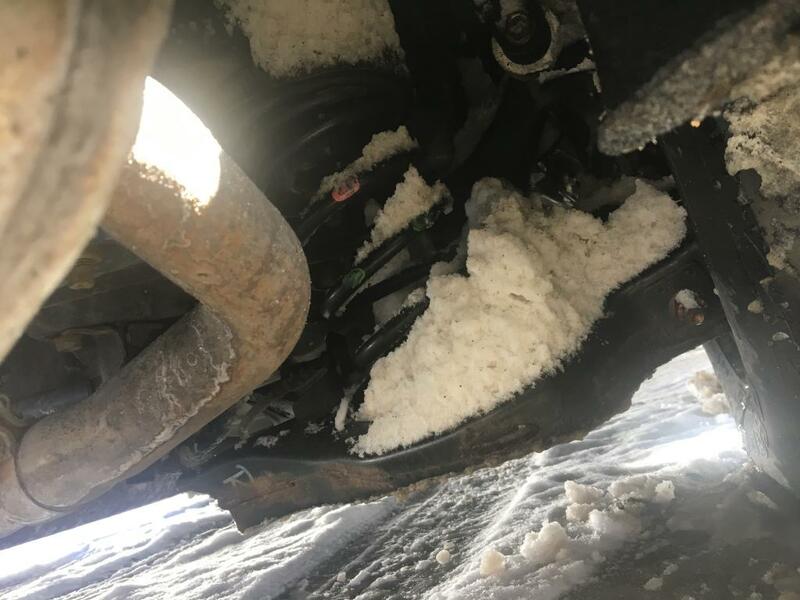 I would have liked a bit more from the dealership then, "wow, never heard of that before." I am thankful that it happened at 15 miles per hour when I crashed and not 65 MPH on the Highway when the whole wheel would have rocketed into someone. I hope that someone looks at this deeply, it's scary how rusty these Altimas get. Why would a control arm break at 80,000 miles? Why is Nissan selling a car if the control arms are failing on any of their cars? I don't understand how they can put this car on the road. I just feel that this is a big safety issue. What is the recourse for Altima owners? 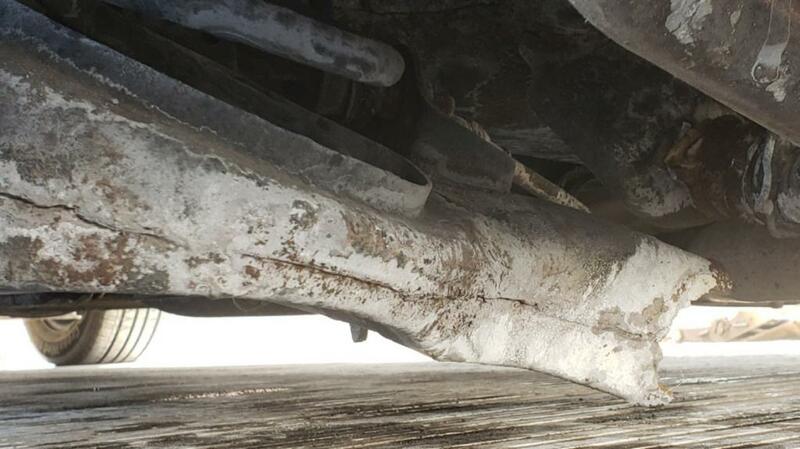 Why would a car with less than 100,000 miles have so many problems with corrosion? I just want to know that my car will be safe.